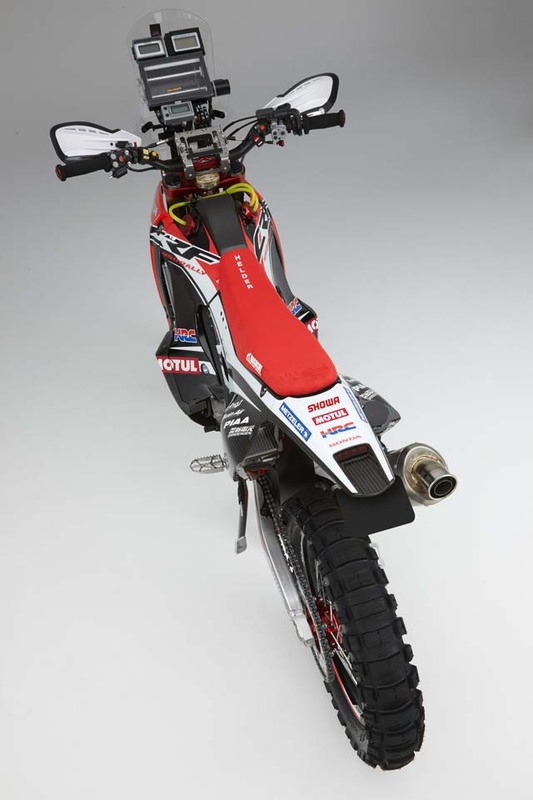 HRC already showed us its 2014 Honda CRF450 Rally race bike earlier this year at Mugello, during the Italian GP. 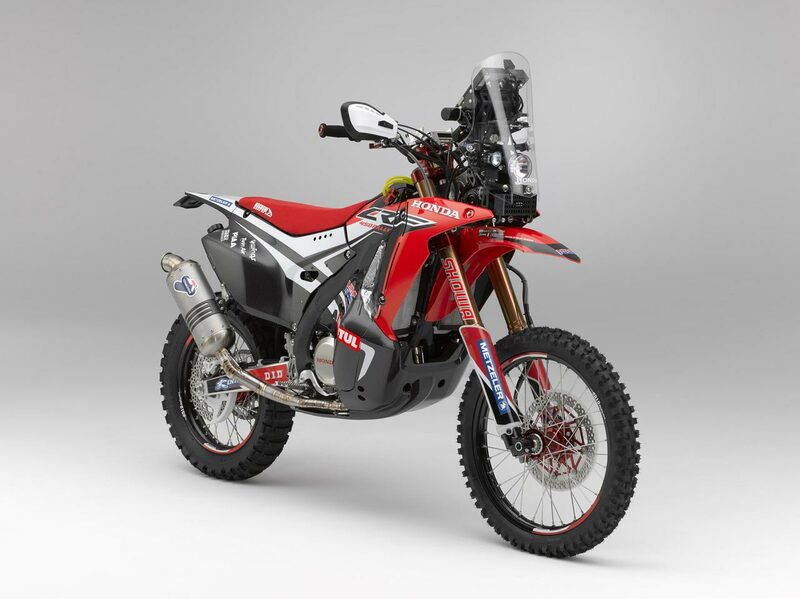 Announcing a five rider team, Helder Rodrigues (Portugal, age 34), Sam Sunderland (U.K., 24), Javier Pizzolito (Argentina, 33), Paulo Goncalves (Portugal, 34) and Joan Barreda (Spain, 29) will race for Big Red in the 2014 Dakar Rally and other rally events. 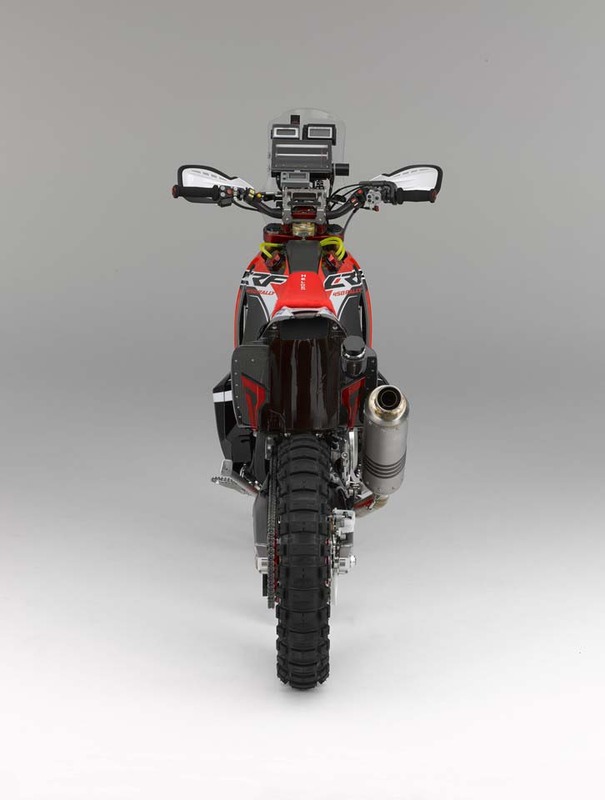 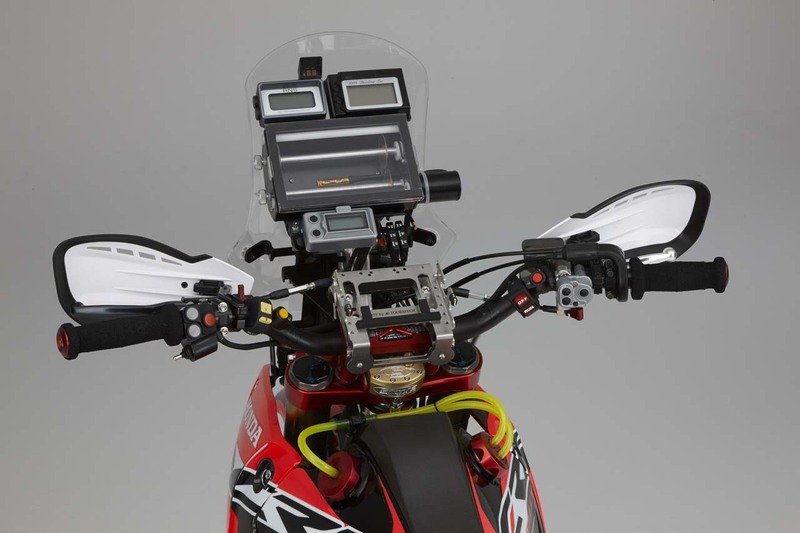 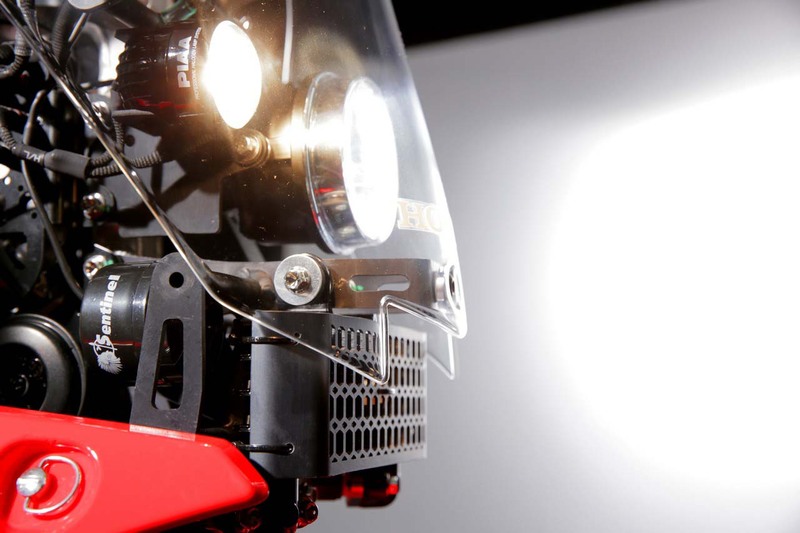 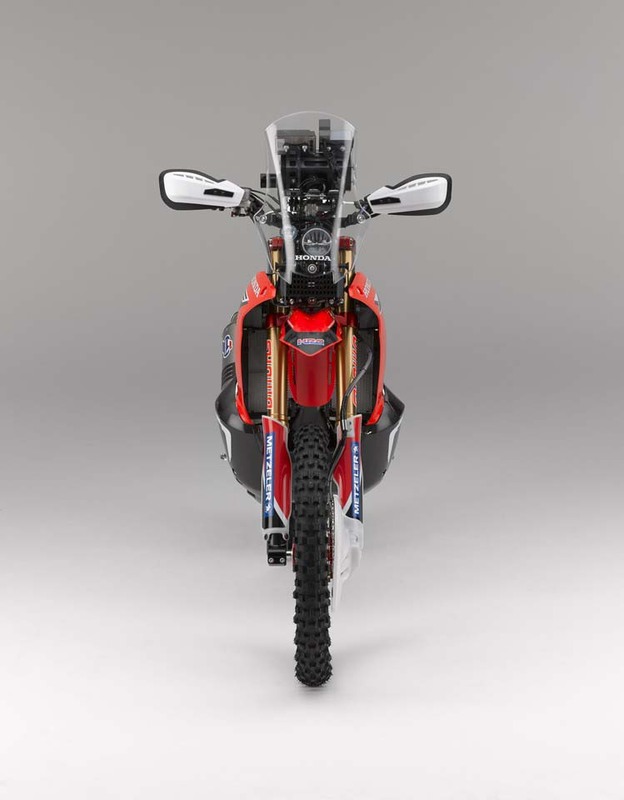 Improving on its 2013 design, which in-turn was based off the Honda CRF450X enduro, HRC says that the 2014 Honda CRF450 Rally has improved engine output, aerodynamic performance, durability, and maintenance requirements. 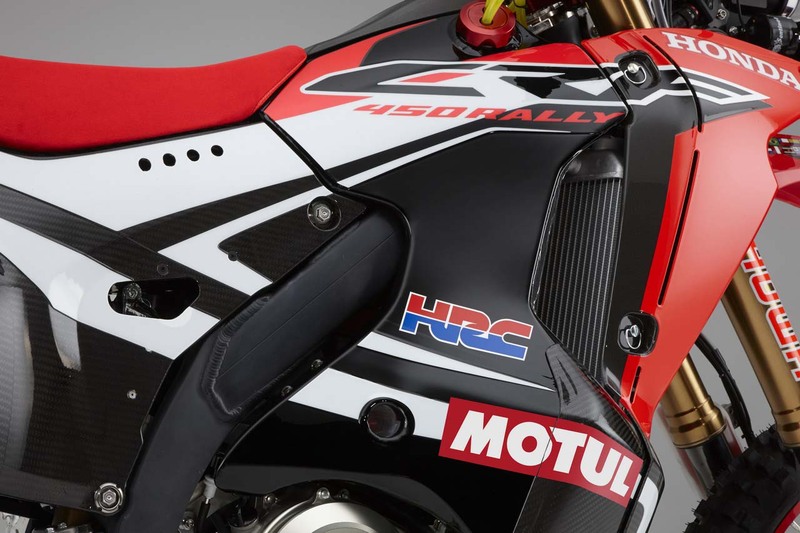 It will be campaign by the Team HRC factory team, and also be made available to other rally teams as a production racer. 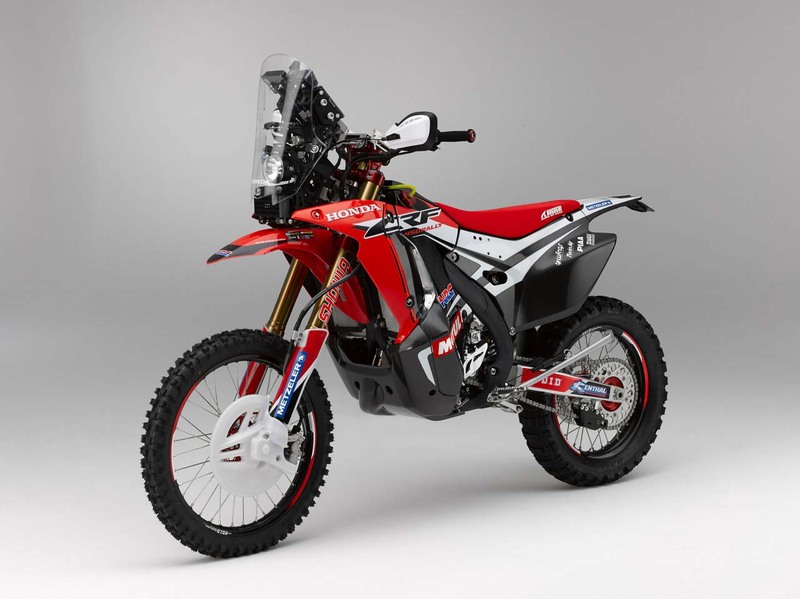 The entry into rally race is a new step for Honda, and the Japanese OEM took last year to develop a competitive racing package. 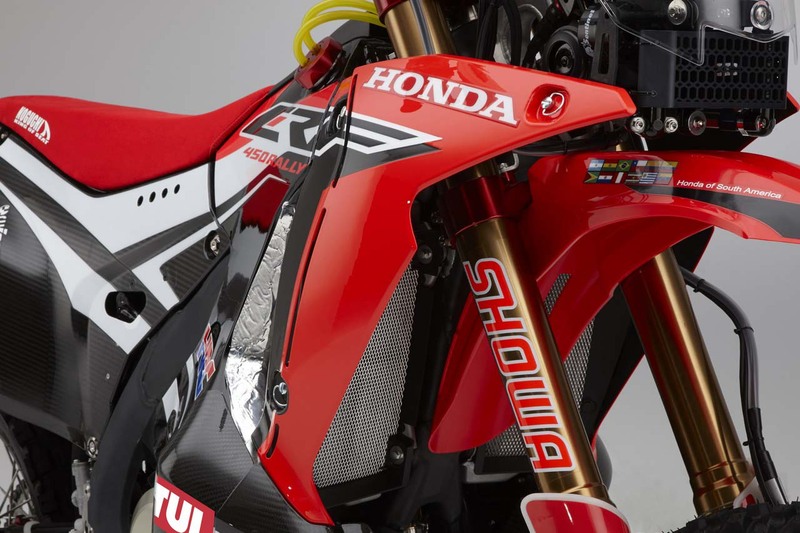 The new Honda CRF450 Rally race bike is the product of that learning experience, and Honda hopes to be a stout competitor this moment forth. 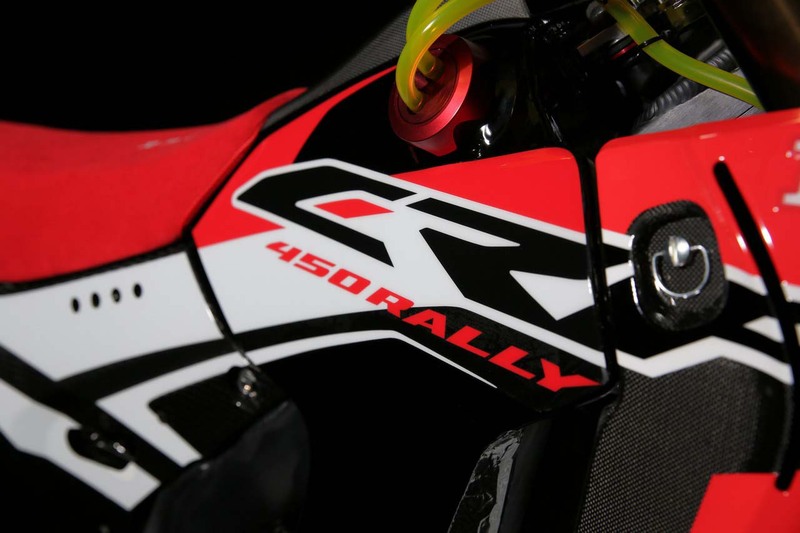 HRC will have stiff competition though, as Marc Coma will have a brand new KTM race bike for 2014, and Cyril Despres has defected from his Austrian squad to the Yamaha Racing factory team. 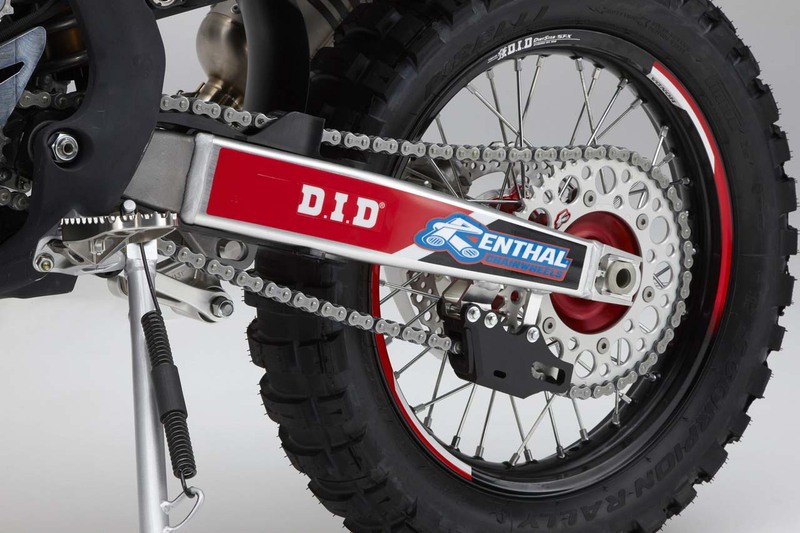 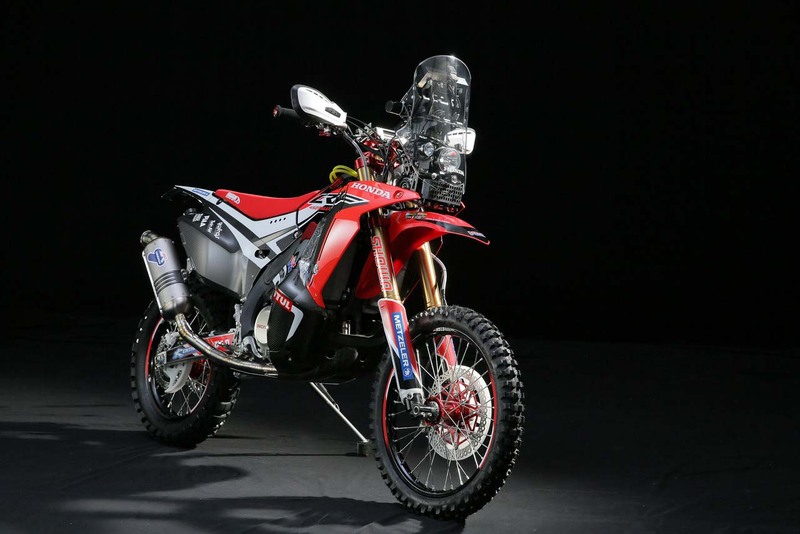 As such, 2014 could be an interesting year for The Dakar, with three OEMs having a shot at victory at the rally’s end. 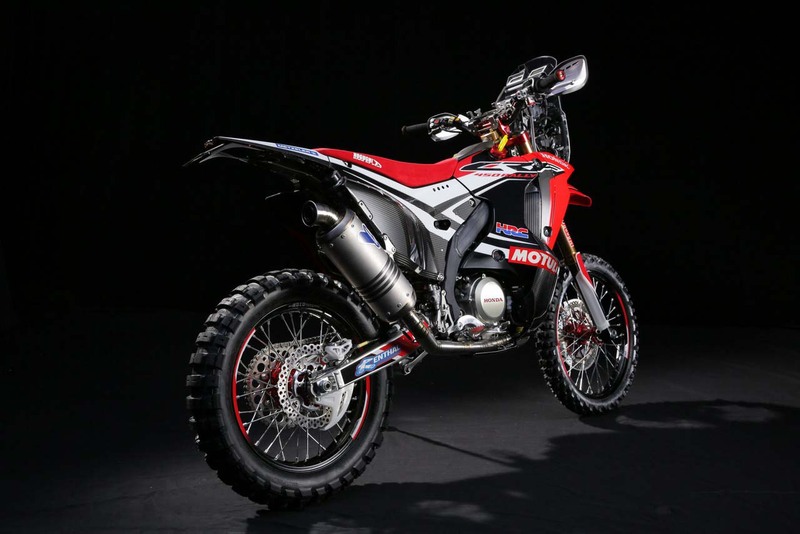 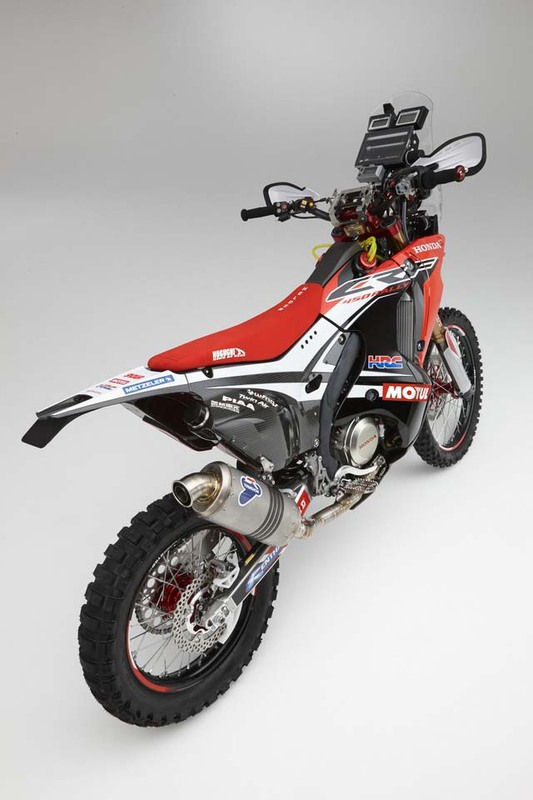 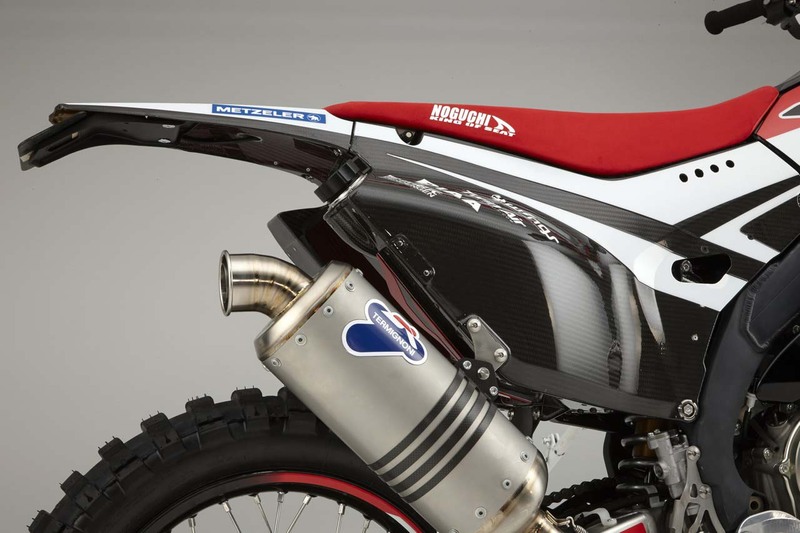 We still have some months before the 2014 Dakar Rally takes off, but we will get our first glimpse of the 2014 Honda CRF450 Rally race bike this month at the Morocco Rally, which starts October 13th.